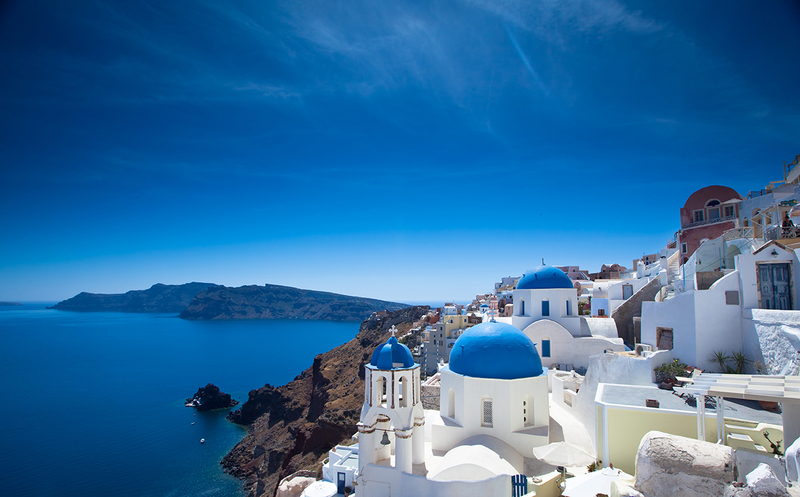 Santorini is one of the most beautiful islands of the Aegean sea. 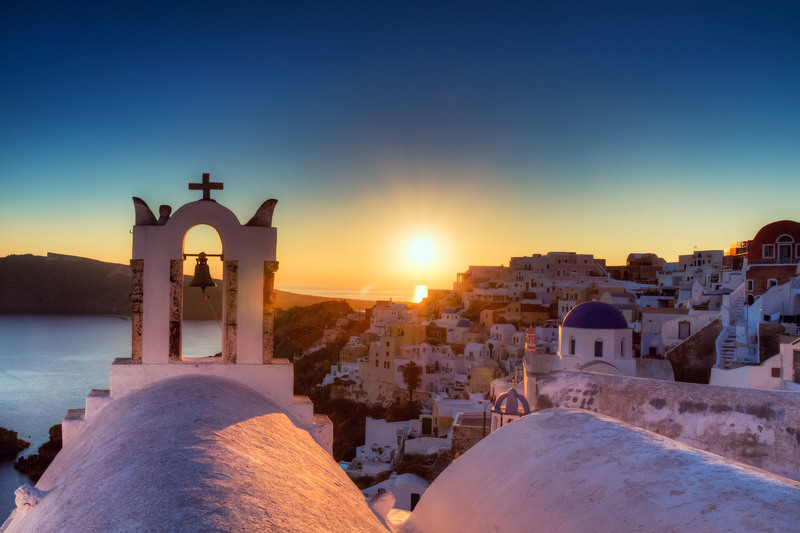 Situated in the south of the Cyclades formation, it is characterized by the impressive caldera with its breathtaking views, the traditional villages with the whitewashed houses and the blue-domed churches, the beaches with the black sand, a testimony of its volcanic origins. The capital of the island, Fira, is placed on the edge of the caldera rocks overlooking the volcano from a height of 300 meters. It is the heart of of the commercial and night life of the island. The settlement of Akrotiri reached its peak in c. 1650 B.C., just before the great volcanic eruption that buried the village and brought the Minoan civilization to an abrupt end. Now, you may visit part of the archaeological site that extends to a diameter of 10000m. There you may admire the ancient city, the houses, squares and streets. From the famous frescoes found on the site one may comprehend the affinity with Minoan Crete. The village of Akrotiri revolves around a Venetian castle of the 14th century and offers views of the caldera and the towns of Fira and Oia. Sites to visit in Akrotiri, are the Church of the Holy Spirit and the church of the Presentation of Christ at the Temple. 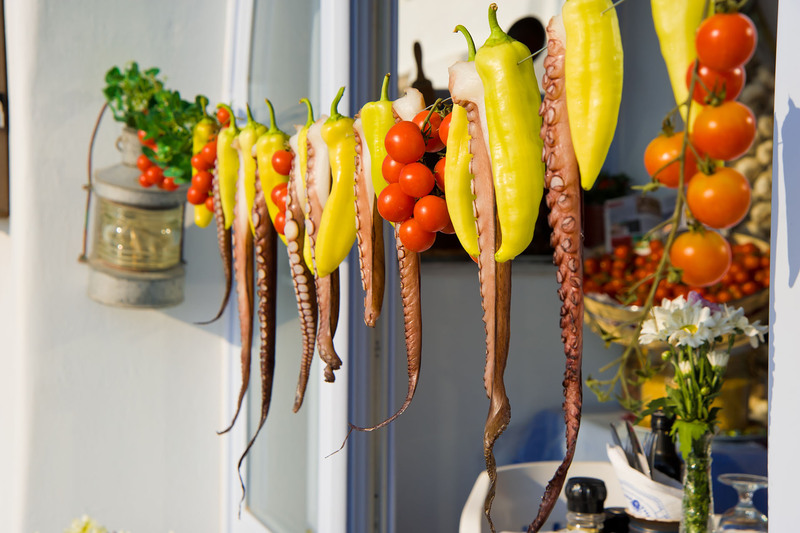 Apart from the archaeological site, Akrotiri is also famous for the nearby Red Beach and the old Lighthouse where you may admire spectacular caldera sunsets. 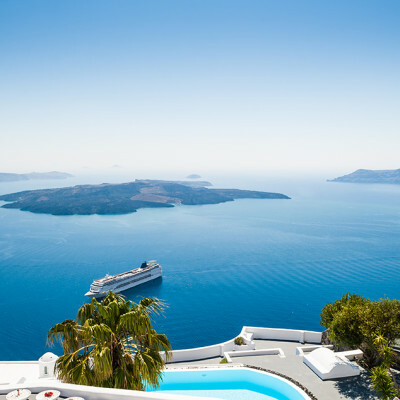 Fira apart from being the capital of the island and therefore the most important town, is also renowned for its nightlife, the shops, the taverns and restaurants with caldera views. In the town, you may visit the Museum of Prehistoric Thera, where all the findings from Akrotiri are exposed, the Archaeological Museum, with findings from the Ancient Thera (800 B.C.) and the old port where you may embark in the small boats that explore the caldera and offer daily excursions to the volcanic island formations in the caldera. 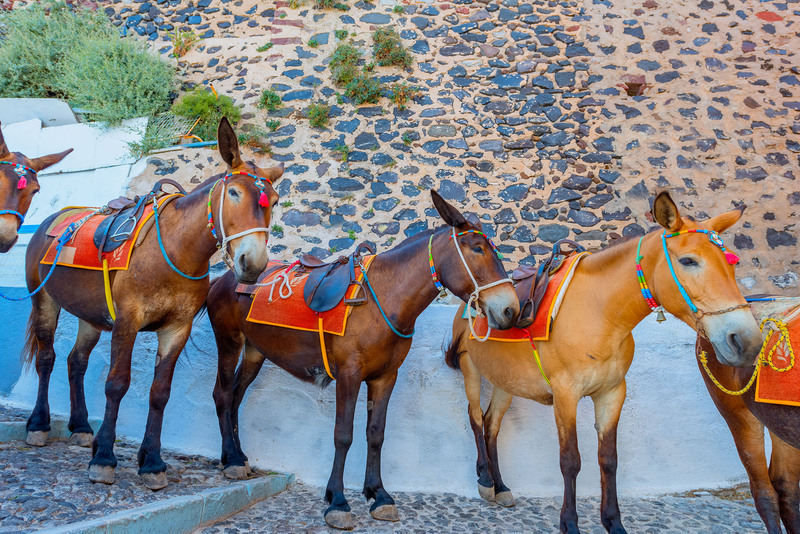 You may get to the old port walking down the 587 steps, riding a donkey or using the cable-car. 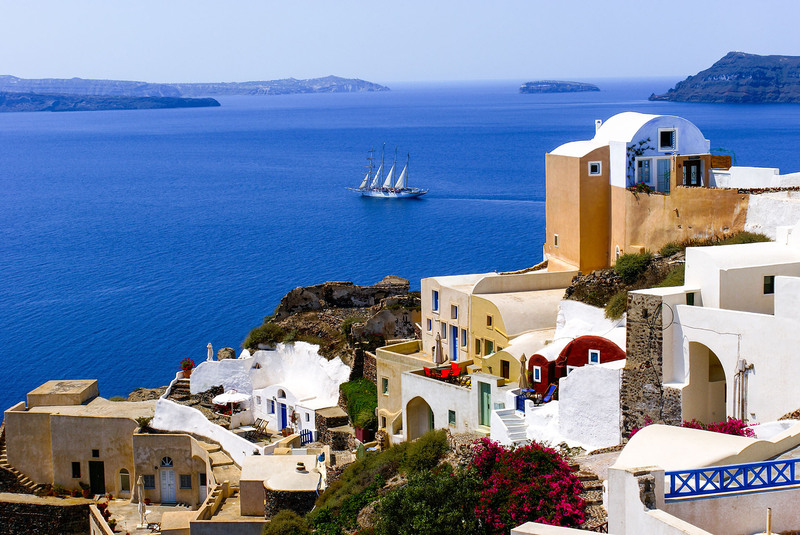 Oia,is the most picturesque village of the island, perched high on the caldera cliffs on the north-west part of the island, 240 meters above sea level. 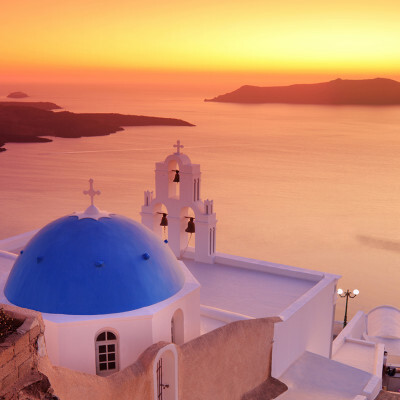 The idyllic surroundings of the village with the cluster of white washed blue domed churches, charming, traditional Cycladic houses and cave houses are the setting for romantic walks with excellent views of the sunset over the caldera.